We are located in western Oklahoma near Elk City. We are hunting 25,000 acres of prime Whitetail deer and Rio Grande turkey country. 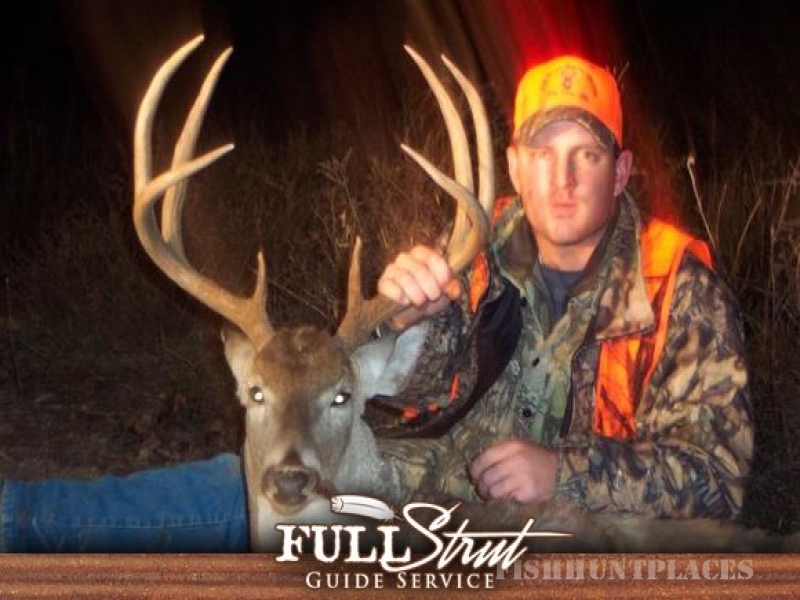 We offer semi and fully guided hunts for Whitetail Deer and Rio Grande Turkey. We have plenty of turkeys to chase in the spring, and you have a great chance to get a Pope & Young deer while hunting with Full Strut Guide Service.